During the last 24 hours, most parts of North Odisha and Gangetic West Bengal witnessed good rainfall activity. In fact, the coastal areas of both these states witnessed strong winds. In the last 24 hours from 08:30 am on Friday, in West Bengal, Digha recorded 149 mm of rain, followed by Contai 131 mm, Canning 63 mm, Kolkata and Diamond Harbour 34 mm, Midnapore 22 mm, Bankura 17 mm, Burdwan 14 mm, Malda 12.5 mm, Baharampur 12 mm, Krishnanagar 11 mm, Darjeeling 3 mm, Asansol 2.4 mm and Jalpaiguri 1.2 mm. Meanwhile in Odisha also many places recorded good rainfall activity such as Balasore 76 mm, Baripada 73 mm, Paradip 52 mm, Cuttack 40 mm, Keonjhargarh 33 mm, Chandbali 18 mm, Bhubaneshwar 17 mm and Phulbani 4.5 mm. Now the well-marked low-pressure area which was over Gangetic West Bengal and adjoining Bangladesh has weakened and moved away towards Northeast India. Therefore, we expect rainfall activity to gradually decrease over most parts of Gangetic West Bengal and North Odisha. However, only few parts of Gangetic West Bengal may receive light to very light rain during the next 24 hours. Weather is expected to improve over these states and clouding is also likely to decrease. 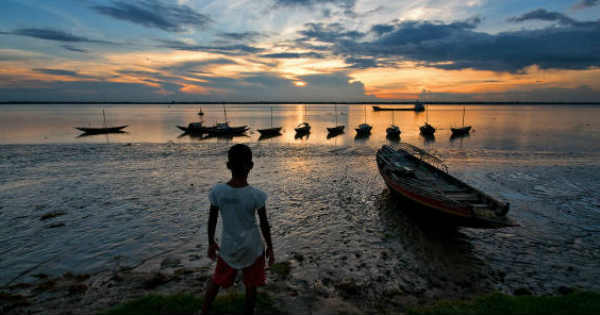 We expect dry weather conditions after 24 hours over Gangetic West Bengal. Moreover, a trough is extending from Bangladesh to Kerala across Andhra Pradesh Coast. Due to this, southern parts of Odisha may also receive scattered rain and thundershower activity with isolated moderate spells.